A confident, natural leader Ganga speaks frankly about the things she loves about her culture: the music, traditional handicrafts, the mountains, and native plants such as the Himalayan nettle that her village eats as their main vegetable. She also talks about what she wants to change, including poverty, child marriage, and human trafficking. At age seven, Ganga was trafficked into India. Her father thought that she might be educated there or that she could work and her wages would be sent home. Several years later, Ganga was rescued by a Nepali social worker and, at age 12, she started kindergarten. In addition to reading and writing, she had to learn Nepalese. 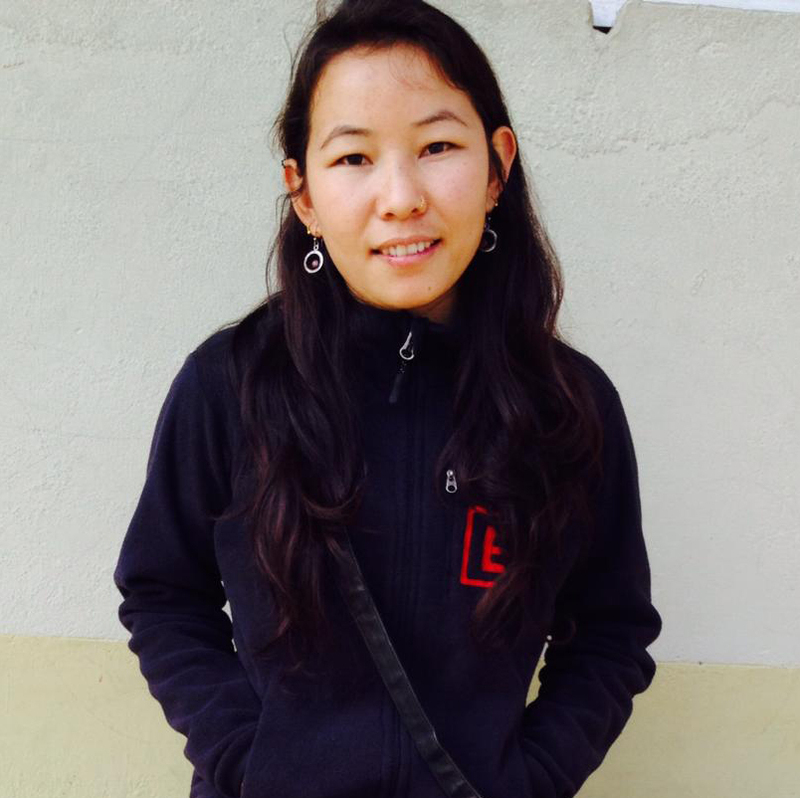 At first she was teased because of her age and size, but Ganga was grateful to be in school. “In my village, girls are born to work and have babies. My village friends have never seen a school and don’t know how to write their names,” she says. Today, Ganga lives and works at WPPC Safe Home, a residence for children rescued from trafficking. WPPC frequently hosts Christian youth groups from the United States—and Ganga coordinates their volunteer and cultural activities, from handicraft projects and English lessons, to sightseeing.